The primary focus of the Center for Autoimmune Genomics and Etiology (CAGE) is to gain a better understanding of the genesis of lupus and other immunological diseases. The long-term goal of our research is to elucidate the mechanisms of disease through the complex interactions of genetics, environmental factors (stress, exercise, diet) and the immune system. An understanding of these complex interactions may provide a better understanding of the etiology and treatment of these clinical disorders. We also seek to function as a biorepository by providing genetically defined samples from people with and without lupus and other immune-mediated disorders. Our interdisciplinary laboratories are led by nationally recognized investigators who employ state-of-the-art model systems for genetic, biochemical, immunological and physiological analysis. Novel models of rheumatologic diseases are developed and applied to investigate the key etiological steps involved in generating immunological diseases. Our research strives to identify and exploit initiating events in inflammatory disorders for a more relevant understanding of disease origins. 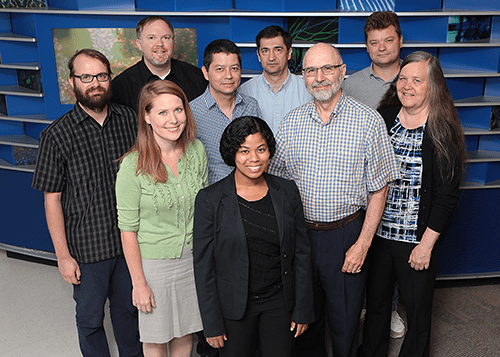 Our principal investigators, leading individual teams of scientists, work by sharing a common open laboratory and participating in a vigorous exchange of scientific ideas and study results. Collaborations are under way with investigators locally, nationally, and internationally.